In this video episode, I share a recent Google Hangout on Air that was held with listeners of The People and Projects Podcast. 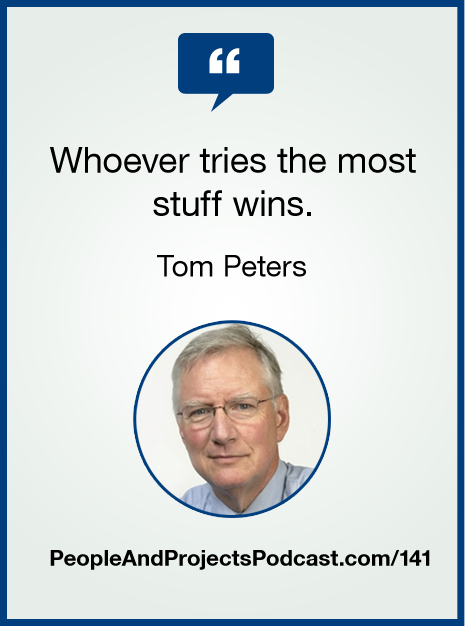 I review a challenge from Tom Peters about trying new stuff. Then I share some content from a new workshop on the topic of decision-making. Thank you for being a regular listener to The People and Projects Podcast! I look forward to learning with you in the year ahead! If you celebrate the holiday, I wish you a very Merry Christmas! Have a great start to the New Year! HAPPY ALLEY by Kevin Macleod Licensed under Creative Commons: Attribution 3.0 License.